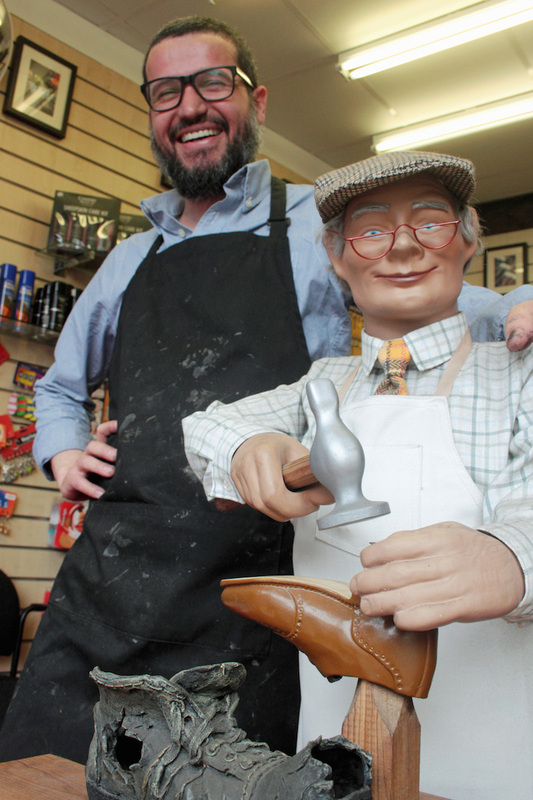 The Sheen Cobbler is the place to go if you want to put your best foot forward. 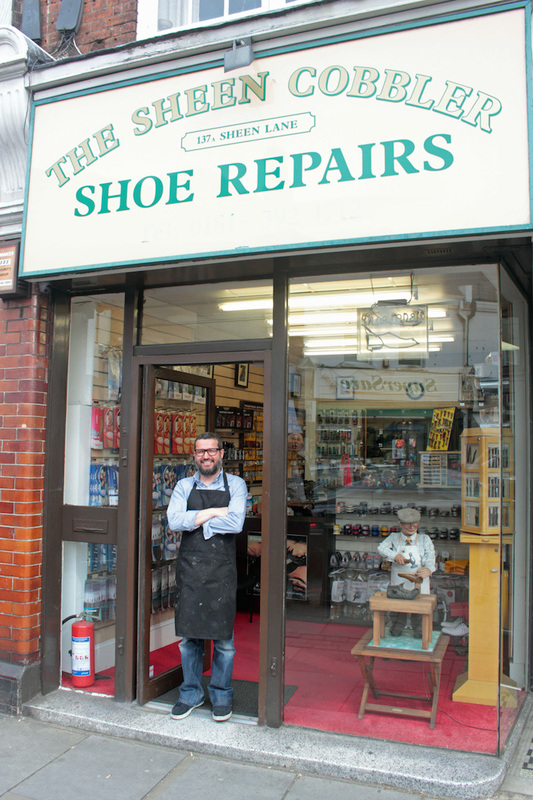 Owner Alladine Osmali is an expert at bringing your favourite and most comfortable pair of shoes, which have become worn, back to life with an expert repair. He spent eight years learning his trade and can now tackle almost any job no matter how difficult. And he loves working in Sheen since buying his business here four years ago. “In this area people tend to buy good quality shoes which means that when they get worn they can still be repaired and be brought back to look like a decent pair of shoes again,” he says. For new soles he only uses good quality German leather which takes 12 months to manufacture as it goes through different strengthening processes. And he is so painstaking that he wears gloves when repairing high fashion expensive women’s shoes to avoid soiling the uppers. 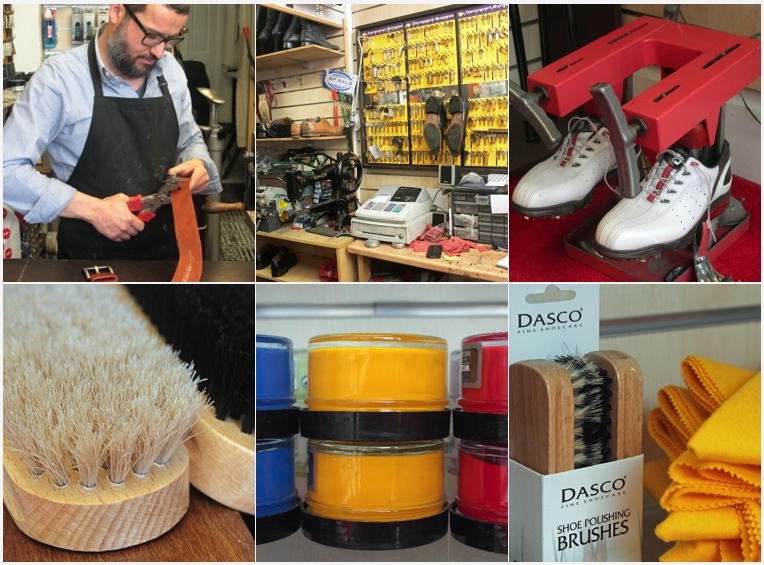 “It takes many years to learn this trade properly because there are so many different types of repairs and you can easily mess up a pair of shoes if you get it wrong,” he says. Alladine, who was born in Algeria and came to England in 2000, repairs over 100 pairs of shoes a week on average at prices ranging from £3 to £70. But he’s also an expert in anything to do with leather. “I can do repairs and re-stitching of motorcycle jackets, leather bags, and all items like that,” he says. 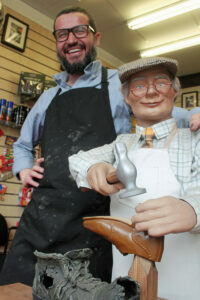 He also has a machine which can stretch a pair of shoes which are too tight. After 24 hours in the machine, the shoes can increase by up to half-a-size. Alladine began his working life as a printer but became a cobbler on the advice of a tennis partner who is now one of his suppliers of raw materials. His first shop was in Clapham but he much prefers Sheen. “I wanted to go somewhere where I could build up a relationship with the local community, where I had regular customers. I like this place very much because people are reasonable and understanding and don’t moan,” he says. His shop is small, on the corner of the Upper Richmond Road and Sheen Lane, but has a comforting smell of leather and rubber solution. He works six days a week and is jack of a few other trades as well. He has a machine for cutting spare keys and another for doing engraving on items ranging from sporting trophies, to medals and watches. He also sells watch straps and can put a new battery in a watch. 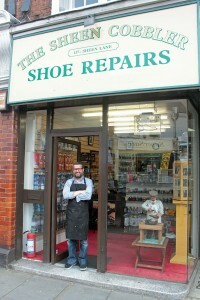 But repairing shoes is the cornerstone of his business and he has advice for anyone who has just bought an expensive pair of shoes. “I always tell them to stick rubber soles on to protect the leather. It will help the shoes last a lot longer,” he says.